Before preaching tonight at the Heritage Baptist Church of Locust Grove, Ga. I visited with a couple of our TEXAS BAPTIST COLLEGE grads. 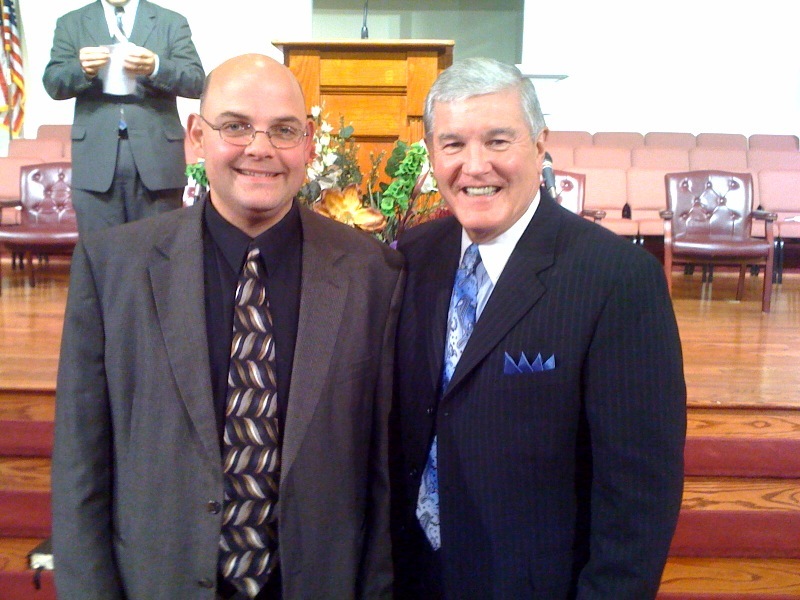 Pastor Dexter Landers and his assistant Kevin Craig. They and their wives traveled for over an hour to attend the meeting tonight along with 30 of their members. They pastor the Mt. Zion Baptist Church and are doing a great job of reaching their area with the Gospel. We have over 400 grads from TBC and we are proud of all of them. These men and women are leaders in this matter of personal soul winning. Gotta love soul winning!